Microsoft is working on building the world’s first scalable quantum computer. In September they had already announced that they were creating a new programming language and a simulator that developers could use to test their quantum algorithms, and now it is a reality. 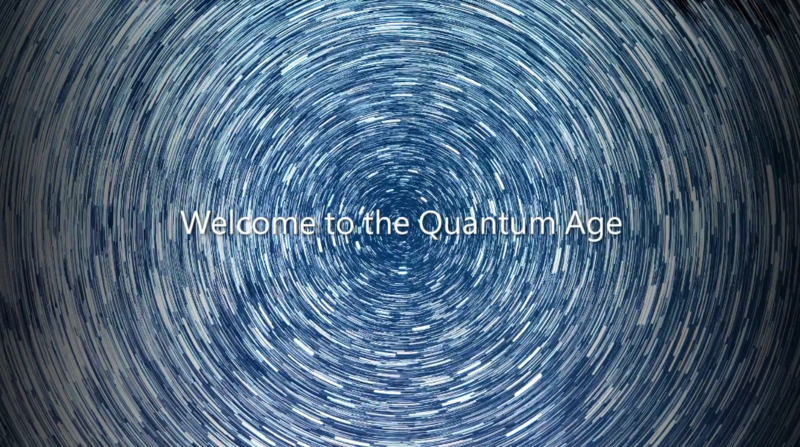 The company has launched a development kit along with a series of resources for programmers to start building their first quantum solutions, the Microsoft Quantum Development Kit that can be downloaded and also has a demo. The quantum computation is for Microsoft one of the key technologies that will change the industry as we know it . In the words of its executives: it is a comparable jump from crawling to traveling to a different planet. The development kit includes the Q # programming language , a quantum computing simulator, and several resources to get started. Q # is described as a specific programming language used to express quantum algorithms. It has been created to be used when writing subprograms that run on a quantum processor, under the control of a classic computer and program. Q # is integrated with Microsoft Visual Studio , so those familiar with the company’s tool will find it even more convenient to learn the language. With the kit you can work with a local quantum simulator that can simulate up to 30 qubits, the unit equivalent to the bit in quantum computing, or you can use an Azure-based simulator that Microsoft also offers and that can simulate up to 40 power qubits of processing. The difference between normal and quantum computing, is that a simple qubit can process many more operations than a bit, to extremes such as what currently would take the complete life of a universe to calculate a modern supercomputer, a quantum computer It would take hours or even minutes. Microsoft hopes that these new tools open the world of quantum computing to more than just physicists, and help advance fields such as artificial intelligence and cryptography.